Disclosure: I participated in this post on behalf of Penguin, who provided product in exchange for an honest review. All opinions are my own. When Ibby Bell’s father dies unexpectedly in the summer of 1964, her mother unceremoniously deposits Ibby with her eccentric grandmother Fannie and throws in her father’s urn for good measure. 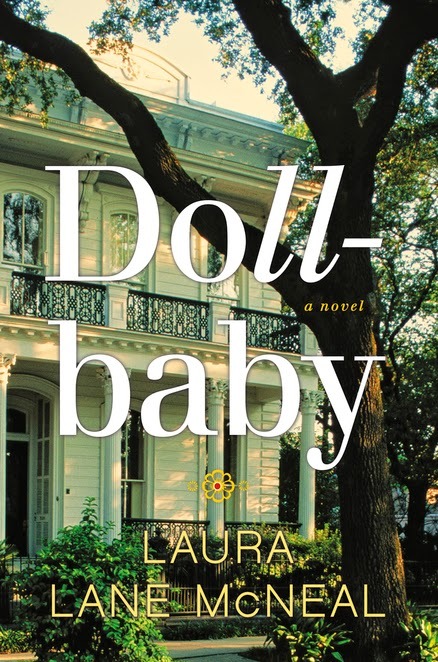 Fannie’s New Orleans house is like no place Ibby has ever been—and Fannie, who has a tendency to end up in the local asylum—is like no one she has ever met. Fortunately, Fannie’s black cook, Queenie, and her smart-mouthed daughter, Dollbaby, take it upon themselves to initiate Ibby into the ways of the South, both its grand traditions and its darkest secrets. Laura Lane McNeal grew up in New Orleans, where she lives today with her husband and two sons. She graduated from Southern Methodist University. She also has an MBA from Tulane and ran her own marketing consulting firm in New Orleans. This is her first novel. You can find her online at lauralanemcneal.com. Hey Lorri is a lifestyle blog. We love to do reviews and have several willing guinea pigs, from Nellie & Dixie - the fur babies, to the many little humans that are being added to our family. © 2007 - 2017 Hey Lorri. Felicity Template designed by Georgia Lou Studios All rights reserved.